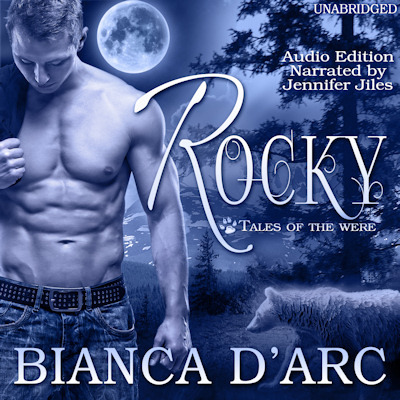 Our first audiobook is now available! Buy now from: Amazon – Audible – iTunes. 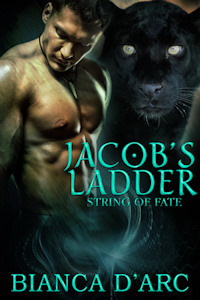 Can Bob Redstone help a shifter woman hiding from her past, face the demons that shadowed her youth, or will they both fall while trying to prevent disaster? Bob is a cougar shifter, one of the elite Redstone Alphas. On a mission for his Clan, he meets a fragile young woman, and finds himself drawn to her as never before. 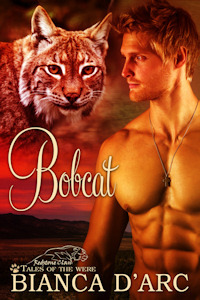 Serena is a bobcat shifter. Orphaned at the age of six, she was raised among humans until she was just barely a teen. Discovered by a Clan of unscrupulous bobcats, she was adopted and beaten on a regular basis because she refused to be a mule for their drug trade across the US-Canadian border. She doesn’t have a lot of experience with men, but when she meets Bob Redstone, she finds him nearly irresistible. When their haven comes under siege, they take to the road. Bob has been tasked with keeping her safe, but they’re also on a mission to find a mysterious warrior-shaman who’s gone off the grid. Finding him means returning to Serena’s former territory and possibly confronting those who abused her trust so badly, but they have no other choice. Can she overcome her past to embrace the future with a man who could very well be her mate, or will the evil in her former Clan overpower their fragile, fledgling relationship? Buy now from: Amazon – Barnes & Noble – iBooks – Kobo – Smashwords. Gina is a medical doctor in New York City. 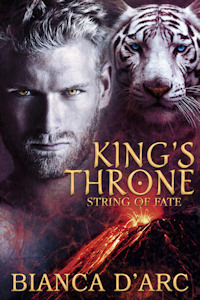 What nobody knows is that she’s also tiger-shifter royalty, living in exile. Keeping her secret has kept her safe, but all that is about to change. Mitch is injured and out of the action. He wakes up in a strange place, with a beautiful woman. Normally, not a problem, but this woman is special. She’s a white tiger and daughter of the lost tiger king. She’s too good for the likes of him, but there’s an undeniable spark of attraction drawing them closer and closer.